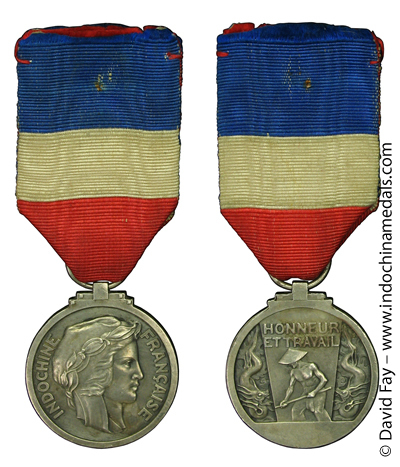 A specimen of this award from the collection of Col. Guaydier is inscribed on the reverse NG. V. KIET 1er Mai, 1941. Note the comment on the Indochina Honor Medal about possible use of that design for a wartime Medal for Workers in Indochina. 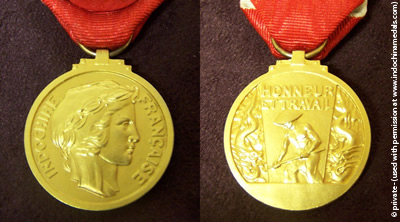 A French Indochina broadcast of November 21, 1943, had noted the award of a Medal for Workers in gold and silver (and bronze?) 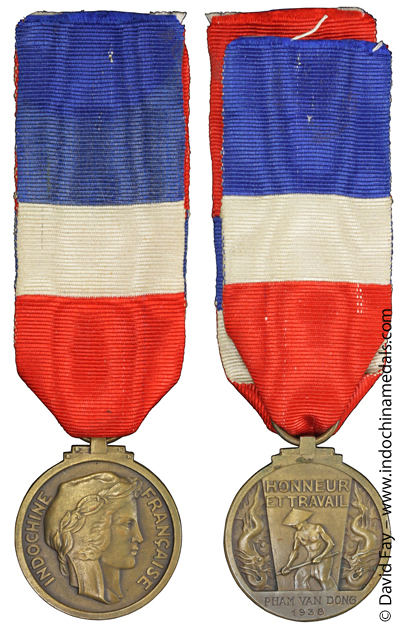 with concurrent monetary award of 20, 15, or 10 Piasters as "proof of Admiral Decoux's solicitude for the Indochinese worker".